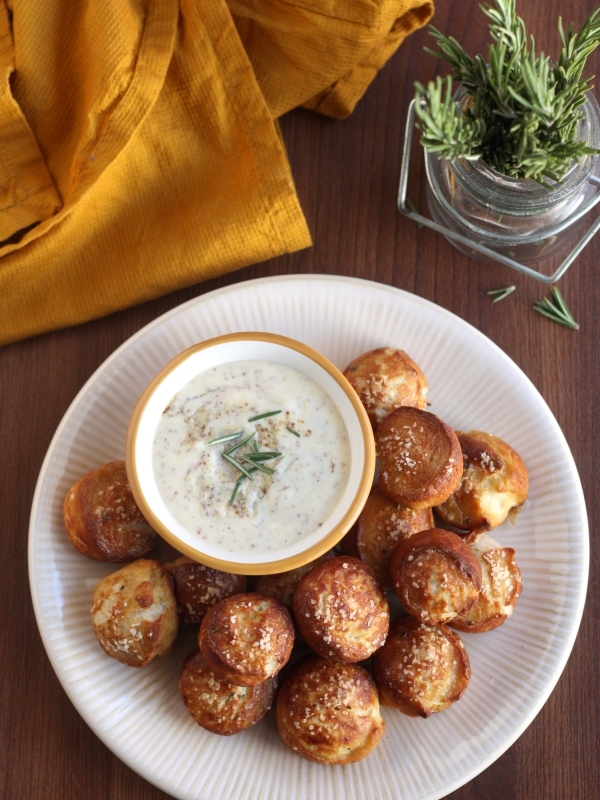 Game day food at its finest— soft and chewy pretzel bites with cheese and rosemary, dunked in a homemade honey mustard dipping sauce. Those closest to me know that I really don’t like football. Like really, really don’t like it. 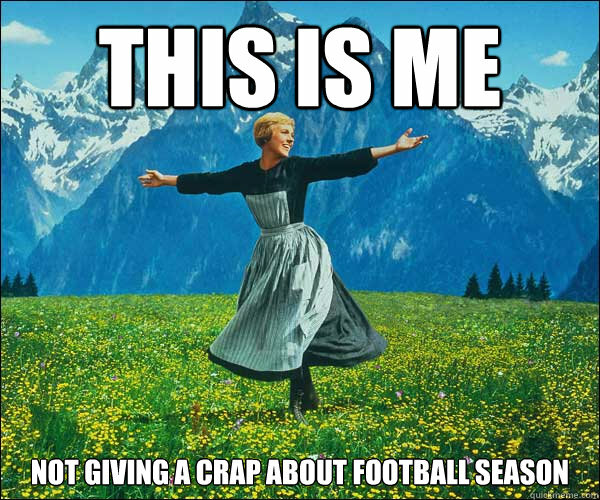 But I gave up my absolute hatred for it a few seasons ago, and my weekends in the fall are much more enjoyable because of it. I’ve decided to just ignore it as much as I can. And this is the part where I become a complete hypocrite. Because I am from Seattle, so even though I don’t care about football, I am crazy excited that my city made it to the Superbowl. I’m even looking forward to it, y’all. This year I won’t just be watching the superbowl for the commercials, or because I love the mindless snacking, but because I actually care about the outcome. Come Sunday afternoon you can find me on the couch, cozied up to a plate of pretzel bites and a huge bowl of honey mustard, actually watching the game. 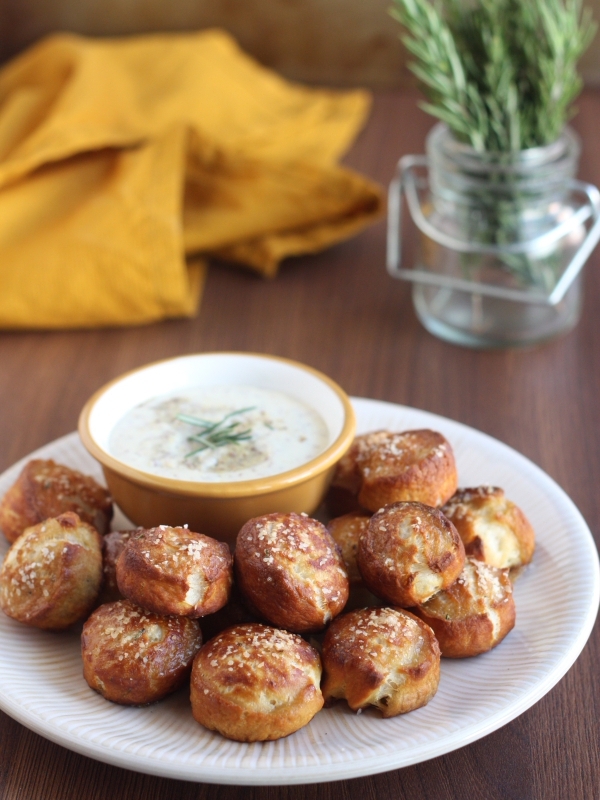 These pretzel bites are so fun, with a great flavor and texture. 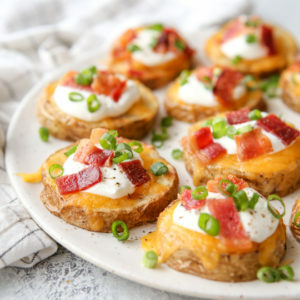 They’re bite-sized and perfect for feeding a crowd, or perhaps just a few hungry Seattle fans. Pretzel recipes instruct us to boil pretzels (or in this case, pretzel bites) in a baking soda solution before baking them in the oven. Can you skip this step? Yes, but the resulting pretzels won’t be what you’re used to. Boiling the dough causes it to instantly puff, creating a chewy interior and giving the exterior a head start on forming a crisp crust. The baking soda also produces pretzels with a deep golden brown and cracked appearance. 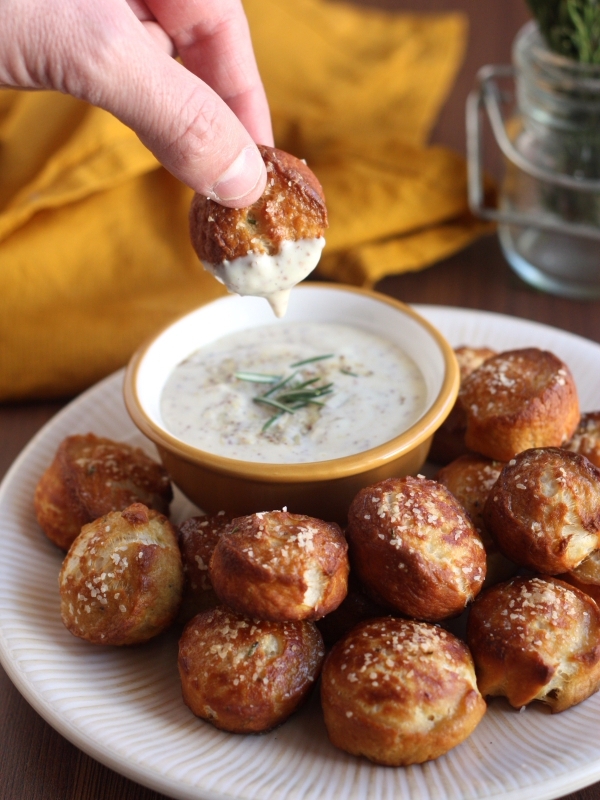 Soft and chewy pretzel bites filled with cheese and rosemary make an irresistible appetizer or snack, especially when paired with honey mustard dipping sauce. In a small saucepan, heat the water and butter until butter is melted. Remove from heat and let cool for 5 minutes, or until 110-120 degrees F.
In the bowl of stand mixer fitted with a dough hook attachment, combine 2 cups of the all-purpose flour, yeast, salt, sugar, rosemary, and cheese. Add the water mixture and mix until combined to form a wet dough. With the mixer on medium low, add the remaining flour 1/4 cup at a time until dough clears the bowl but is still slightly sticky to the touch. You may not need to use all of the flour. Continue to knead until dough is smooth and elastic, about 5-7 minutes. Place dough in a grease bowl and cover with plastic wrap. Let rise in a warm place until doubled, about 1 hour. Gently punch down dough and knead a few times. Tear a small handful of dough off with your hand and roll into a long thin rope about 1/2 inch wide. Use a sharp knife to cut into 1-inch pieces. Repeat with remaining dough. 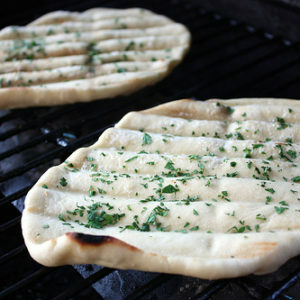 Preheat oven to 450 degrees and line a sheet pan with parchment paper. Line another sheet pan with parchment paper and liberally spray with non-stick cooking spray. Pour the 10 cups of water into a large pot and set over medium high heat. Stir in the baking soda. Bring the mixture to a boil and then cook the dough pieces in small batches for 30 seconds. Remove with a slotted spoon and place on the greased sheet pan. Place par-boiled dough pieces on the clean parchment paper-lined sheet pan, and brush with egg wash and sprinkle generously with coarse salt. Bake until golden brown, about 10-12 minutes. Let cool completely. 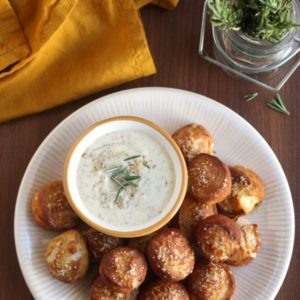 To make the dipping sauce, whisk all ingredients together in a small bowl and serve with the pretzel bites. 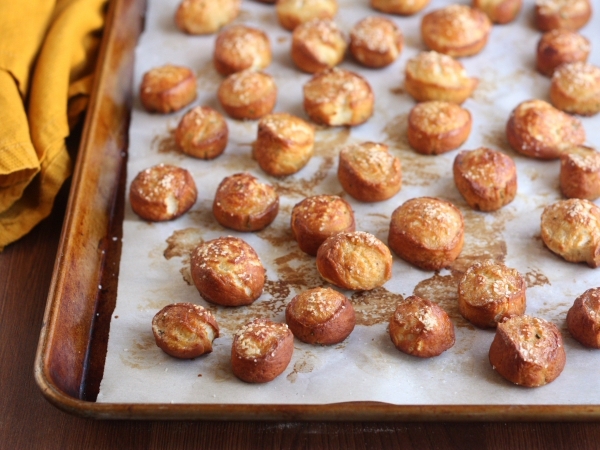 Pretzel bites are best the day they are made but will keep for a few days in an airtight container at room temperature. I baking cake right now, but these are things that are on my mind! Trying these right after my cake is done. I love everything about these little babies. First of all I like that they’re in bite-size…I’ve always found little things (especially food) to be the prettiest! 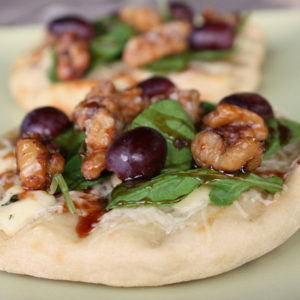 Plus, I’m a huge bread-lover and these definitely combine the best flavors ever! 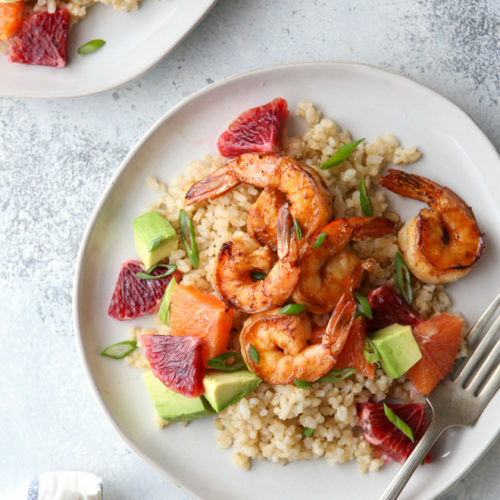 Annalise, What a great recipe and looks fun to make. I had to pin and share on g+. I’m excited to try them. So…when do you add the yeast? 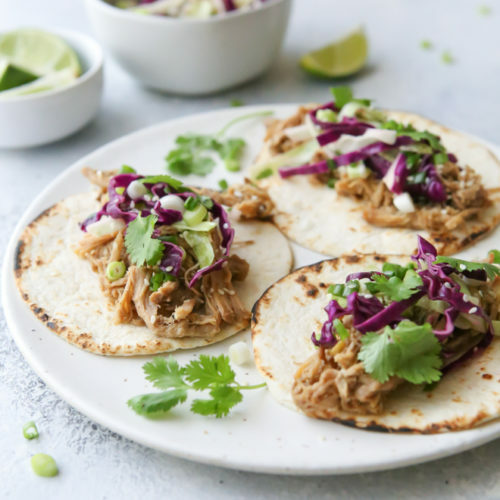 What a perfect snack for game day or any day! I would love that mustard dipping sauce! Hi Annalise! I tried this recipe yesterday and I loved the taste, but I waited an hour for the dough to rise and that didn’t work… May I use fresh yeast instead of active-dry yeast?